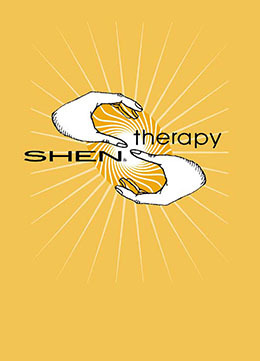 The Training and Certification Program prepares the Intern for Certification as a SHEN Therapist. The program covers all tasks and activities as described in the U.S. Department of Labor Occupational Code No. 076.264-640. 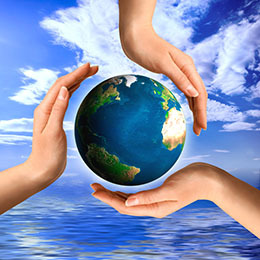 The comprehensive Program is a 628-hour course of instruction. This includes the two prerequisite SHEN Personal Empowerment Workshops and the required personal growth work. The Program is rigorous, but not unduly so. Taking the SHEN Personal Empowerment Workshop twice prior to application is the first phase. At this point they must apply to join the International SHEN Therapy Association. Have no major unresolvable emotional conditions which might affect their ability to maintain a neutral emotional stance when giving SHEN to clients or that might otherwise affect the candidate’s professional practice. 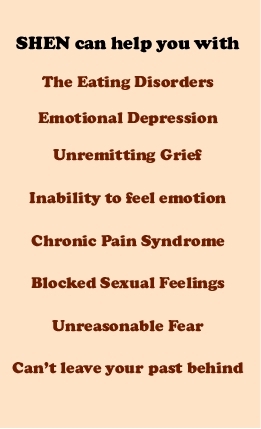 Have no current or unresolved drug or alcohol addictions. Be able to receive SHEN well. Have participated appropriately during their SHEN Personal Empowerment Workshops. Complete a personal, and employment history and identify the issues the candidate intends to work on through SHEN. The SHEN Therapy Institute or its off-site Instructors conduct the intensive eight-day, 60+ hour Clinical Skills Seminars for ISTA’s Internship Program. Interns complete the Clinical Skills Seminar twice, initially during the first six months and again during the last six months of their Internship. Seminar participants are new and second term Interns as well as Certified SHEN Therapists who enroll for continuing education. All texts and workbooks are provided by the training facility. Practicum: The Intern contracts with a SHEN Mentor to supervise them in this part of the Program, which includes practical application of SHEN in the field and the Intern’s personal growth. Interns may request a particular Mentor but Mentors are assigned by ISTA’s Intern Application Committee. Client Sessions: The major portion of the practicum is completing a minimum of successful 200 SHEN client sessions. The majority of the required supervision may be conducted at a distance, through session records which are emailed to the Mentor and telephone or Skype consultations. Personal Growth: Interns are required to continue their personal growth and development. Growth should become visible in such things as a reduction in blaming, an increase in recognition of personal responsibility, improvement of feelings of self-worth, and/or a noticeable positive change in relationships with family and others. Certification upon completion of the program requirements is not automatic. When all requirements have been completed, the Intern submits the necessary documentation including a typewritten narrative of the Interns progress during Internship, of no more than two pages in length, and a self-assessment of strengths and weaknesses as a practitioner with plans to overcome the latter. The narrative should detail evidence of having gone into and through a pivotal portion of the Intern’s own internal fear, grief or shame and having come to resolution as a result of the personal SHEN sessions. It should include major changes in behavior and in social and/or professional relationships. The Mentor reviews the material and, when able to recommend the Intern, will forward the material to the Certification Committee. The Certification Committee reviews the submission and will approve it, ask the Intern or Mentor to clarify elements of the presented work, or ask that the Intern complete additional requirements it deems necessary. When the Certification Committee is satisfied, the Intern will be issued his/her Certificate as a SHEN Therapist.Complete a personal, and employment history and identify the issues the candidate intends to work on through SHEN.